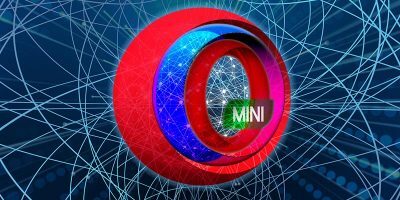 Scanning a document doesn’t have to involve that large printer-size machine. All you need is your Android device and a good scanner app. 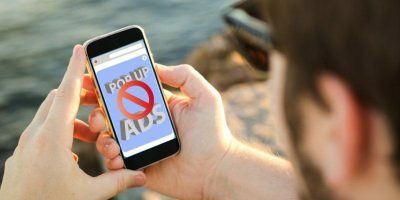 Thanks to these apps that you can find for free on Google Play, scanning a document has never been easier. 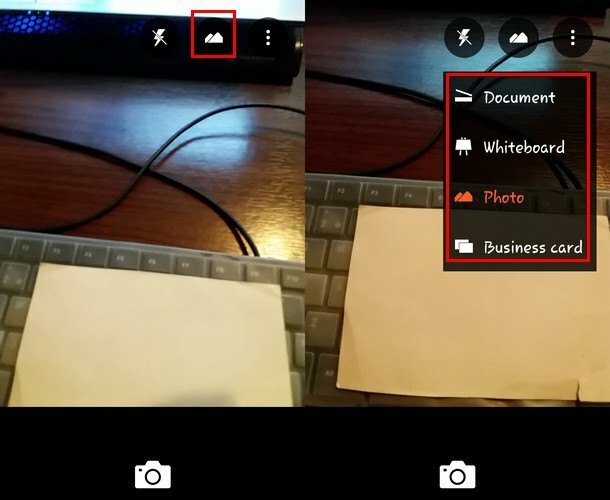 With the following apps you’ll be able to scan your document by simply taking a picture. Not only that, you can turn your scanned document into a PDF and share it through services such as Dropbox, Google Drive, Evernote, and more! Office Lens is one of the most popular scanner apps on Google Play. 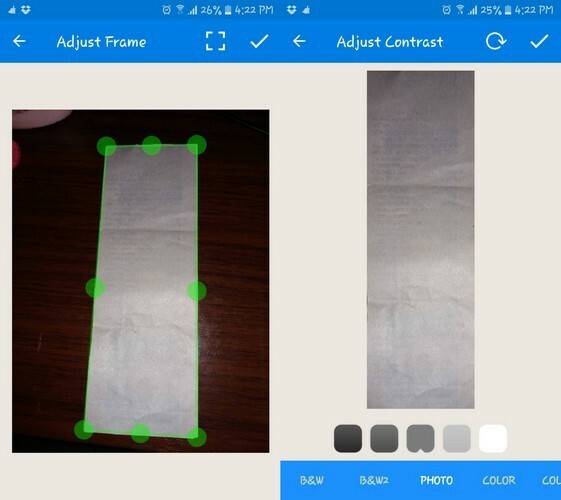 The app enhances, trims and creates pictures of documents and whiteboards that are readable. The app allows you to turn images into PDF, PowerPoint, and Word files. After scanning, you can save your files to OneDrive, OneNote, or your Android device. Tap on the “Scanner” icon on the top-right and choose the type of document that you are scanning, whether it is a picture, the work whiteboard, a document, or a business card. Don’t worry about scanning the document incorrectly since the app will guide you as to as where you should move your device for the perfect capture. You can even scan the document from a distance, and Office Lens will show you the zoomed version of it. The app works best with documents in German, English, Spanish and Simplified Chinese. CamScanner offers you the features you need to scan your documents efficiently. By using your phone’s camera, you can scan your invoices, receipts, notes, business cards, certificates, and more! Make your scans perfect with the auto-enhancing and smart-cropping features. Quickly find a specific scan with the quick search feature by simply entering a keyword to save some valuable time. 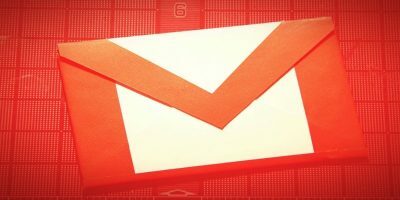 You can also share PDF/JPG files through social media or as an email attachment. If you upgrade to the Premium account, you can enjoy features such as extracting images from text, collaborating with friends, creating an unlimited number of folders, and more! 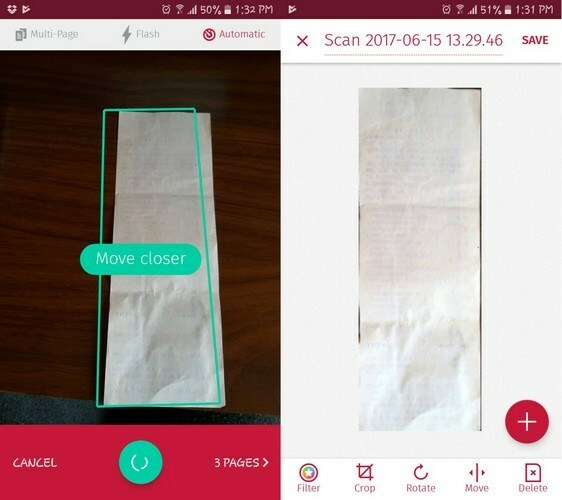 Scanbot will scan any document you put in front of it, but it does something the other scanner apps don’t. While you try to scan your document, the app will either tell you to move closer or to not move. By upgrading to Premium, you can add notes and reminders to your scans (among other features). You can either scan your documents into PDF or save them in JPG. It also features QR code scanning, bar code scanning, multi-page scanning, automatic upload, editing, annotations, OCR text recognition and full-text search.The supported cloud services include Dropbox, Google Drive, Box, and more! Tiny Scanner converts your Android device into a portable scanner. Scan any document you come across and either save them as a picture or PDF file. The app also offers the possibility of saving your file through the most popular cloud services such as Dropbox, Box, etc. Your documents can either be scanned in grayscale, color, or black & white. The page edges are detected automatically, and you can also set the page sizes to Legal, A4, Letter, etc. View what you’ve scanned either by date, title, list view, or thumbnail. 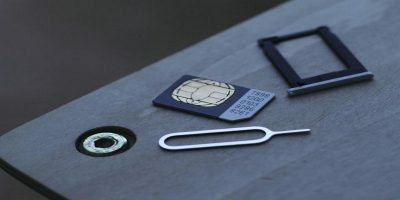 Keep any curious eyes away from your files by adding a passcode to protect them. 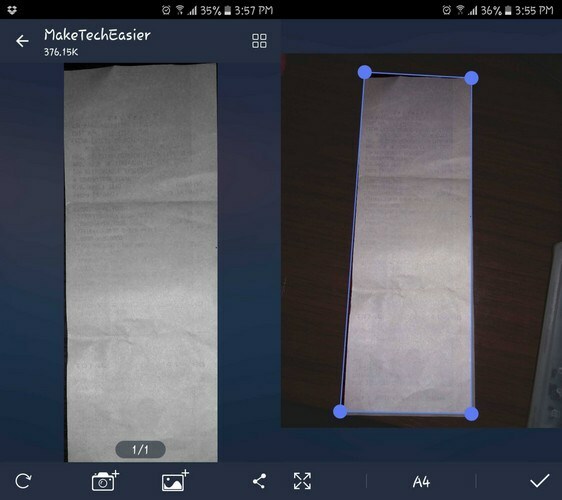 With over 5 million downloads, Fast Scanner is an app that covers your document scanning needs. Scan all sorts of documents including business cards and other paper text. You can add more than one page to a scan and save them as PDF. Choose from various editing options to make your scans easier to read. Choose from options such as gray, color2, color, photo, and black and white. Fast Scanner also lets you sign your scanned files without having to buy the app. You can place your signature anywhere on the document and even enlarge it. 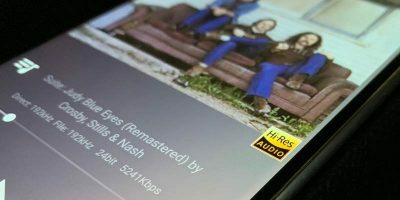 Android devices can be used as so many things. 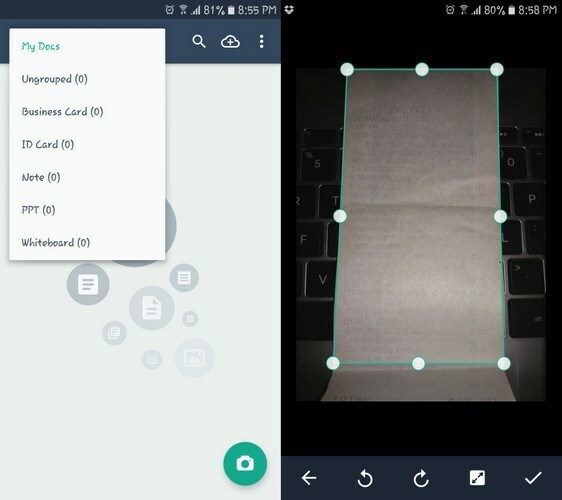 You can use them as your camera, your phone, and now your scanner thanks to these apps. Do you have a favorite scanning app? Which one do you recommend? Share your thoughts with us in the comments. Last 2 apps I put in brackets because they are taking a lot of space and do the same job at the same or even better level of quality, but on the other side, this two are standing on the top of this list if I consider only easiness of use and user-friendly environment. Also, I need to mention that Genius Scan in the free version is limited to sharing options, the most useful one is sending scanned documents on email and then if there is a need upload to cloud. All others can upload documents to the cloud directly, most often cloud storage options are Dropbox and Google Drive, for the details, please check the description of the apps. Even I’m not a huge fan of Google, I must admit that Google Drive does a brilliant job. 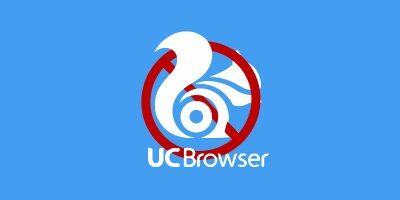 If you are not a frequent user of these apps and if you don’t have Google Drive already installed, Turbo Scan is probably the best option.